Do not confuse standard with normal measurement. For Robolution , standard cells means that these designs have already proven themselves many times and are very popular among customers. One reason for this is the great variability. 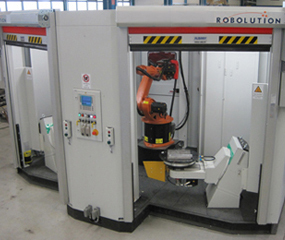 Robolution is fully equipped to meet your needs and will be pleased to advise you. The product range is based on a modular design. 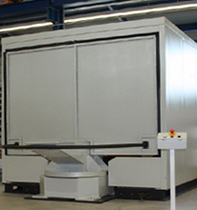 Modules offer a high variability, without neglecting the individual needs of the customer and his product to be welded. 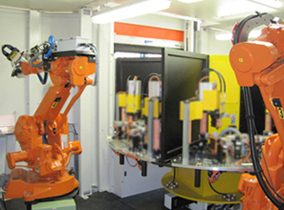 Reliable partners in the field of robotics include renowned manufacturers such as ABB, KUKA, FANUC and YASKAWA MOTOMAN. In the area of ​​welding technology, the systems can be supplied with components from ESAB, ESS, EWM, Fronius, Kemppi, Lorch, Merkle, SKS and Lincoln. 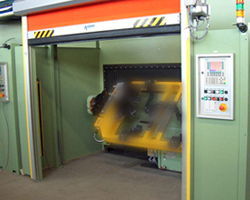 As a burner technology, components from Abicor Binzel, DINSE, Fronius, TBi Industries and SKS are used. 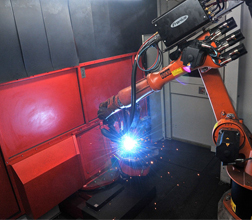 Further manufacturers in the field of welding technology on request. 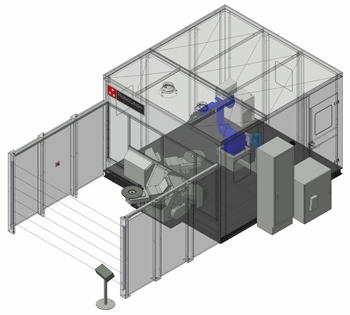 In this way, Robolution guarantees you a high degree of integration and flexibility, combined with an optimal low spare parts storage. 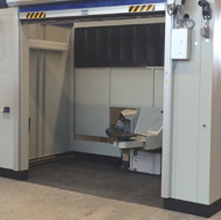 Can be used for processes such as welding, handling, assembly, gluing, etc. 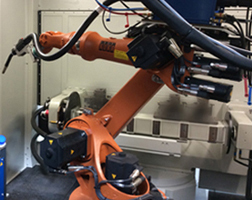 A new type of exchange system makes it possible to add another robot or another positioner (TurnRot 300) to the system without the need for complex technical resources. 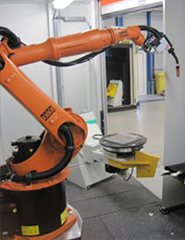 A new type of exchange system makes it possible to add another robotic or other positioner (TurnRot 500) to the system without the need for complex technical means. 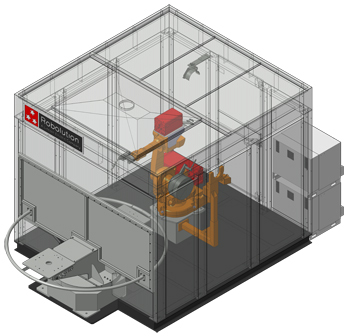 The entire production cell is built on a self-supporting base frame and forms a transport and stacking unit. 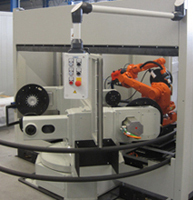 The basic frame carries all components such as robots with control cabinet, positioning system, burner cleaning system, power source and safety devices, as well as all power connections. The system concept is based on the 2-station principle. 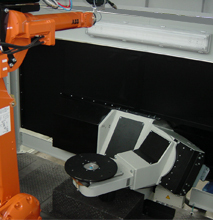 While the robot is working in the first station, the operator can remove the finished welded component in parallel in the other station and then retrofit it. After loading, the operator activates the start button. 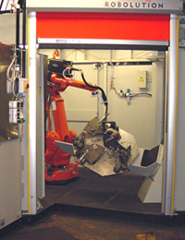 If the component is finished by the robot on the corresponding working side, the change of the station is carried out and the cycle begins anew. The processing time of the robot can thus be used optimally. 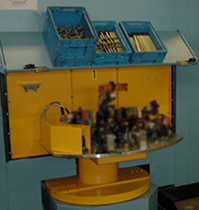 In this concept, the components are mounted stationary on the table top. 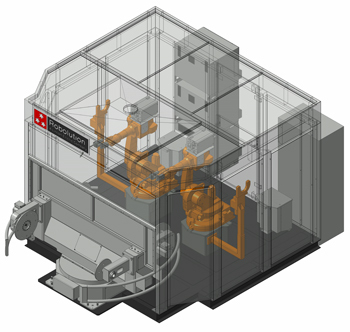 The components can be turned horizontally in this concept. Applicable for processes such as MIG / MAG / TIG welding, gluing etc. 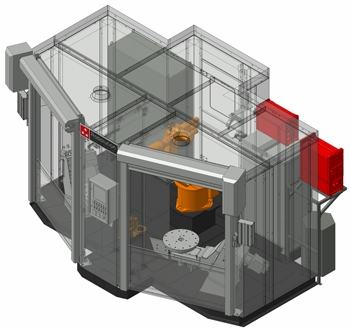 A new type of exchange system makes it possible to add another robotic or other positioner to the system, without the need for complex technical means.